The following article is validation to why every paramedic should continually talk to unresponsive patients. 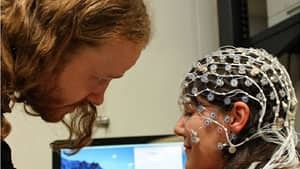 Researchers have discovered they can detect conscious awareness in some patients thought to be in a permanent vegetative state using an inexpensive EEG device that measures electrical activity in the brain. The use of an electroencephalography, or EEG, machine, which can easily be transported to a patient’s bedside, follows an earlier breakthrough employing a functional MRI scanner to determine whether some people in a vegetative state were in fact consciously aware but unable to physically respond to stimuli. “They don’t actually respond to anything in the outside world, so you can’t attract their attention, you can’t make them look in one direction or another,” Owen said Wednesday during a webcast to describe the research. Owen and a team of scientists at the London, Ont., centre, Cambridge University in the U.K., and the University of Liege in Belgium collaborated on this latest research, published online by The Lancet.